This chapter provides an overview on basic definitions, terms, concepts, and techniques to describe and model chemical production processes. 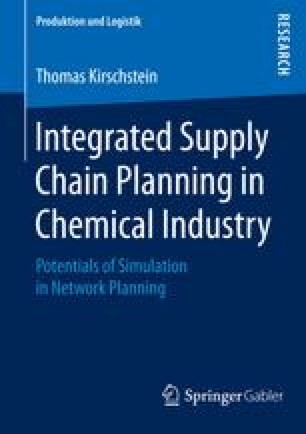 This allows modelling of the core components in chemical production networks. Figure 2.1 shows an exemplary chemical production network where the production plants are highlighted.